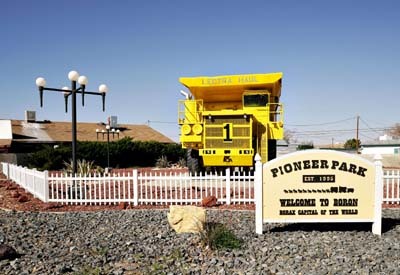 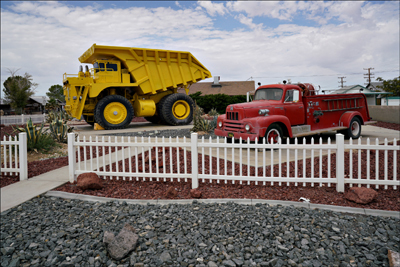 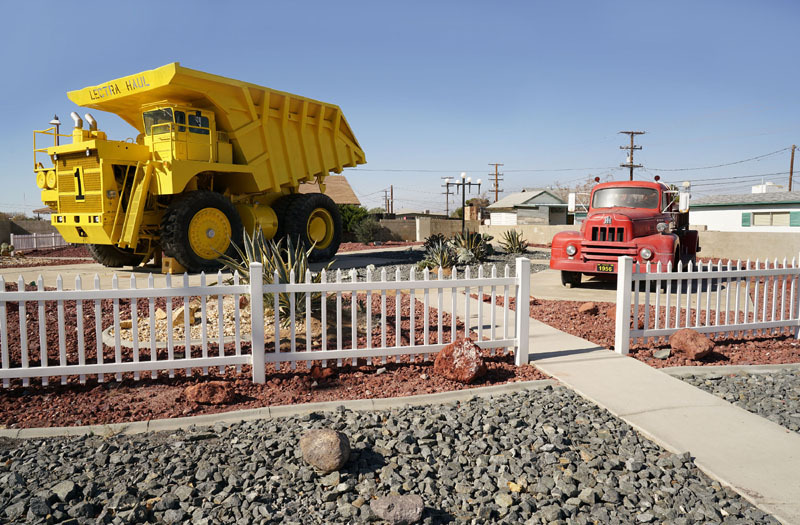 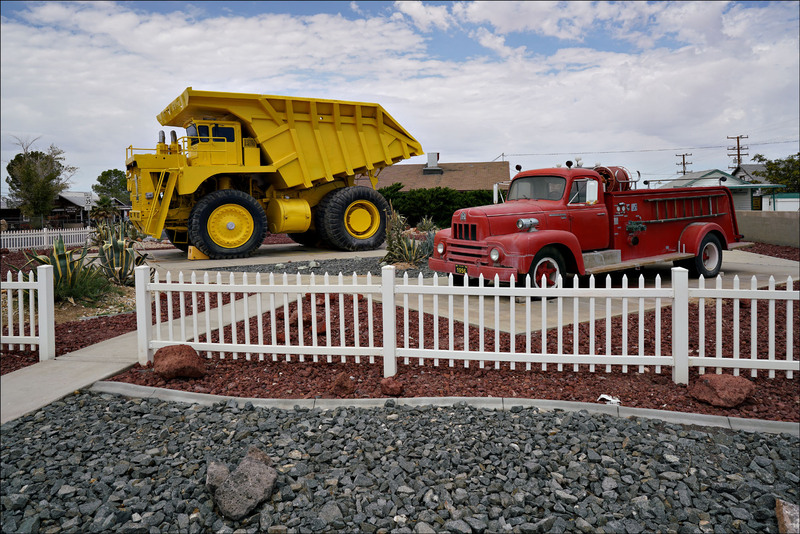 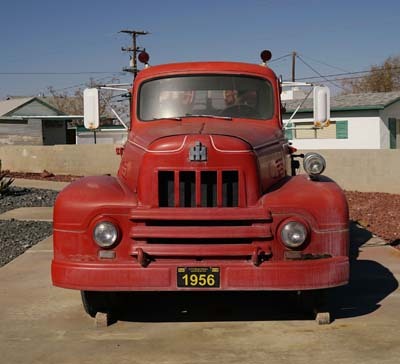 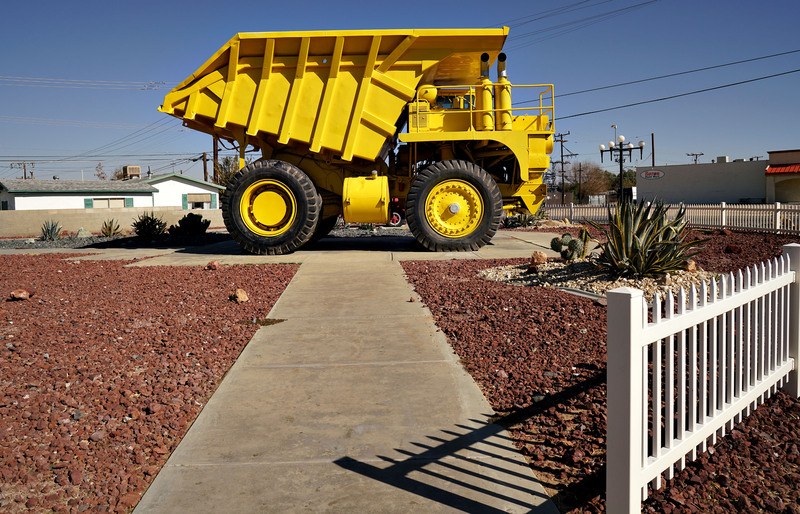 Pioneer Park displays two vehicles from early years: a mining dump truck, and a fire engine. "The Quarry truck (mine truck) is a Lectra Haul M-85 [refers to 85 ton payload capacity], it was built by Unit Rig & Equipment of Tulsa Oklahoma. 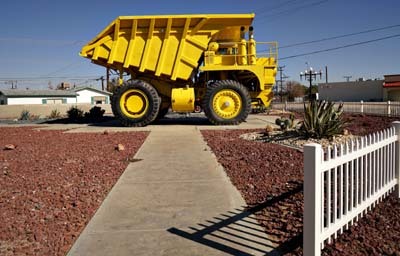 It was first built in July 1963, the first one was delivered to Kennecott Copper's Chino Mine in New Mexico. 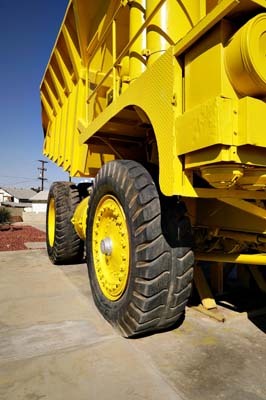 This was the largest 2 axle truck available at the time. 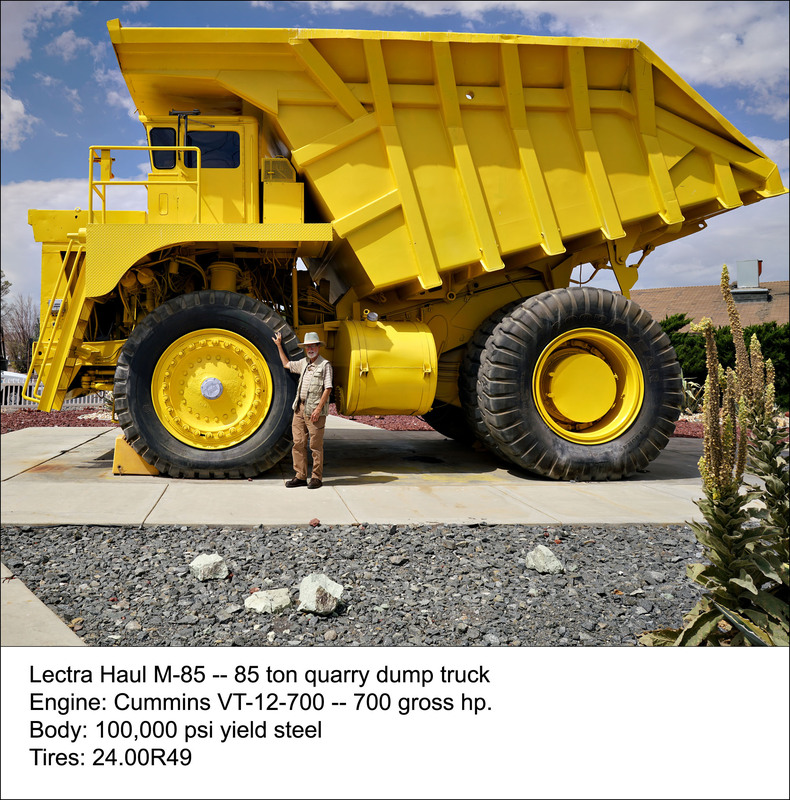 The engine of choice was the Cummins VT- 12-700, rated at 700 gross hp." The body is made of 100,000 psi yield steel. 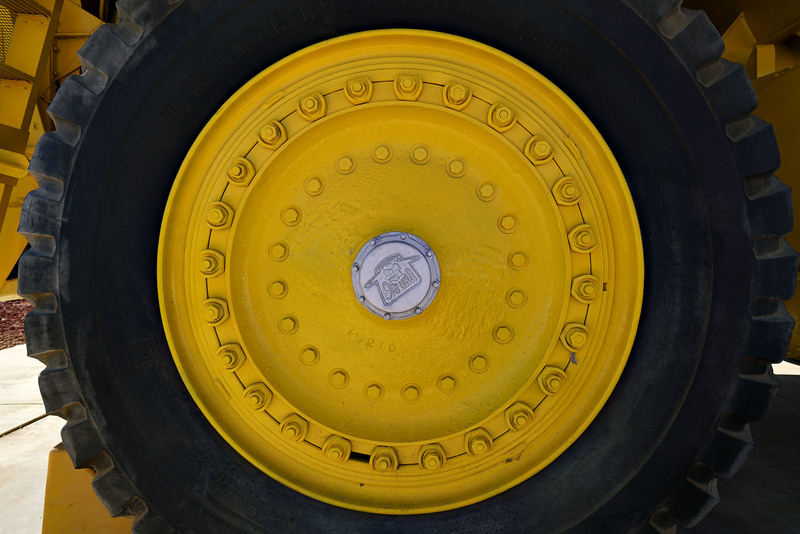 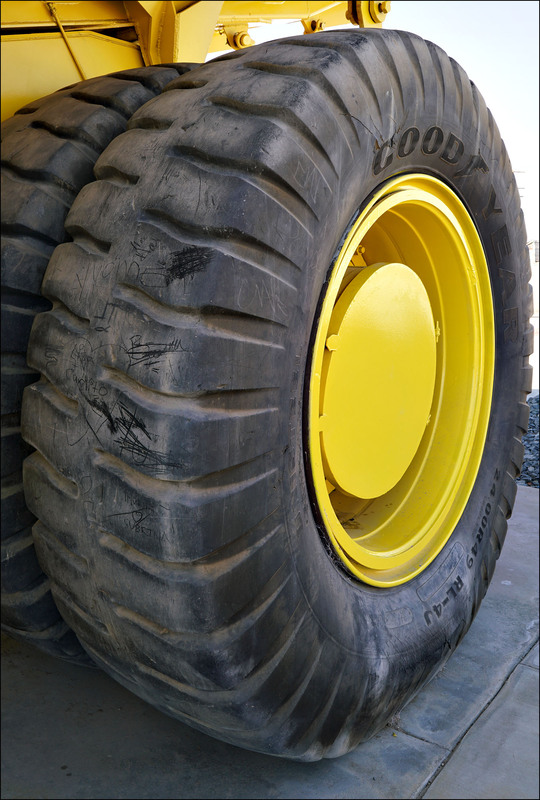 Tires are filled with 1/2 air, 1/2 water, to prevent explosion in case of a tire puncture. 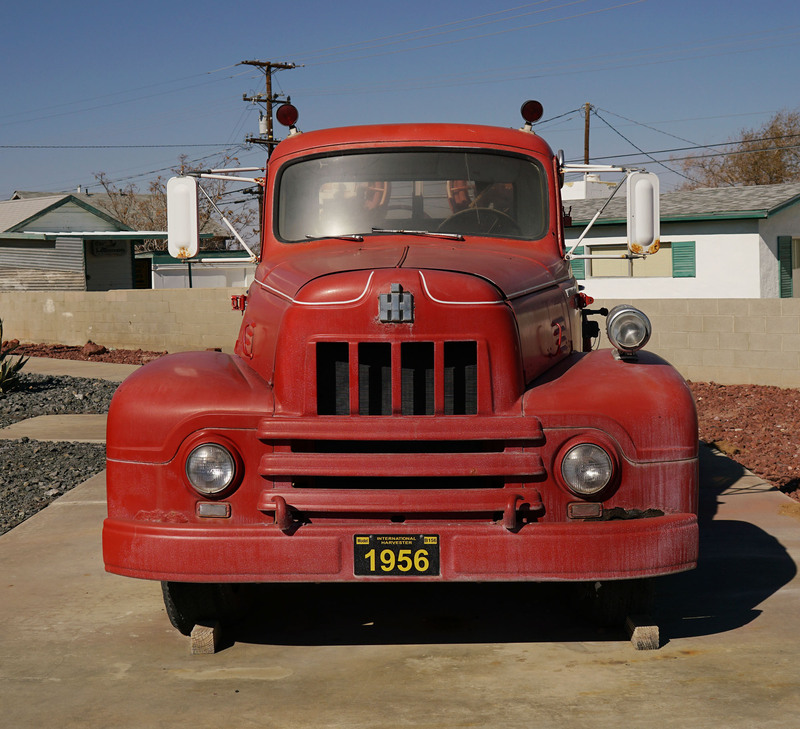 The fire truck is an 1956 International Harvester.